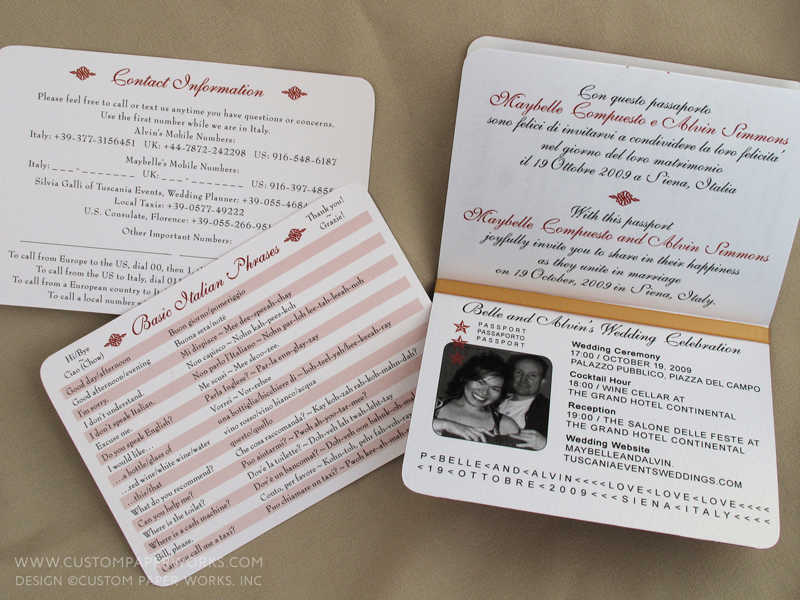 Alvin and Belle had a creative idea to incorporate the passport booklet into their wedding day. 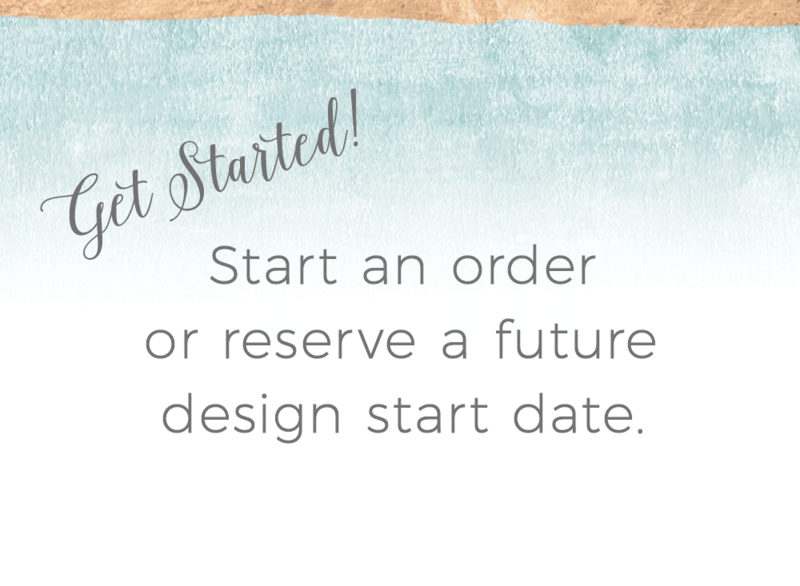 The guests had already been invited and rsvp’s counted, but they wanted a unique keepsake that was useful for their guests while traveling to their Siena, Italy wedding. 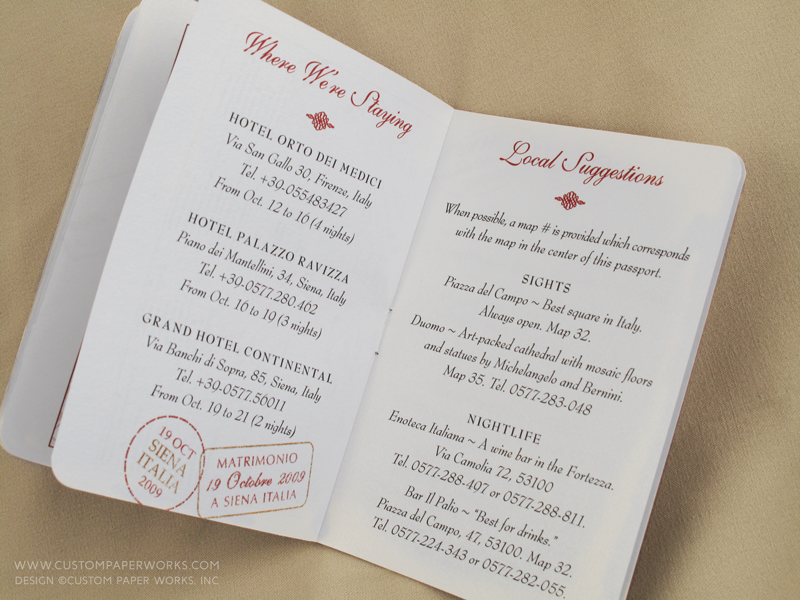 This elegant passport-styled travel guide was mailed to guests just weeks before the wedding. 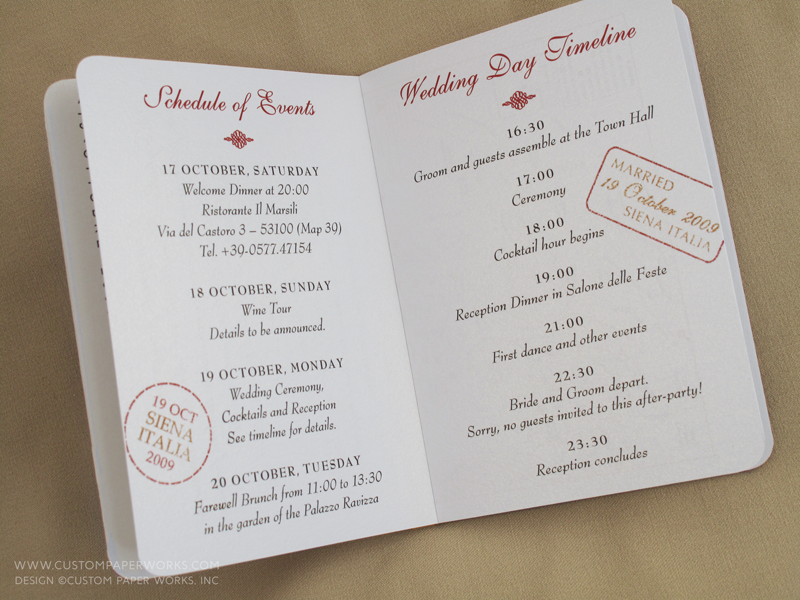 A total of 10 pages included the visa/photo page and invitation wording, a schedule of events, where the bride and groom could be found throughout the week, a list of favorite restaurants and cafes, a wedding-day timeline … even internet access information. They still had more information to include, so I suggested using a separate card for the list of phone numbers and a selection of common phrases translated into Italian. 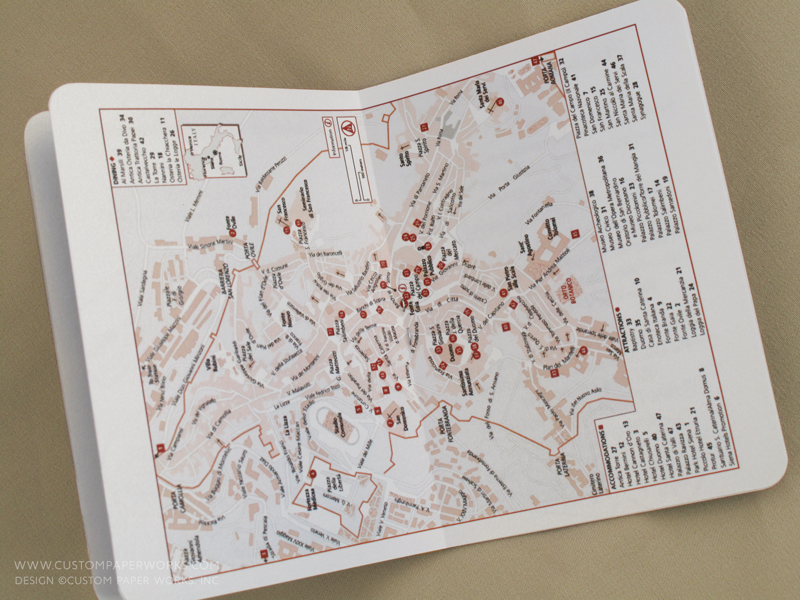 That way, guests can tuck the card into a wallet for easy reference while touring the city! 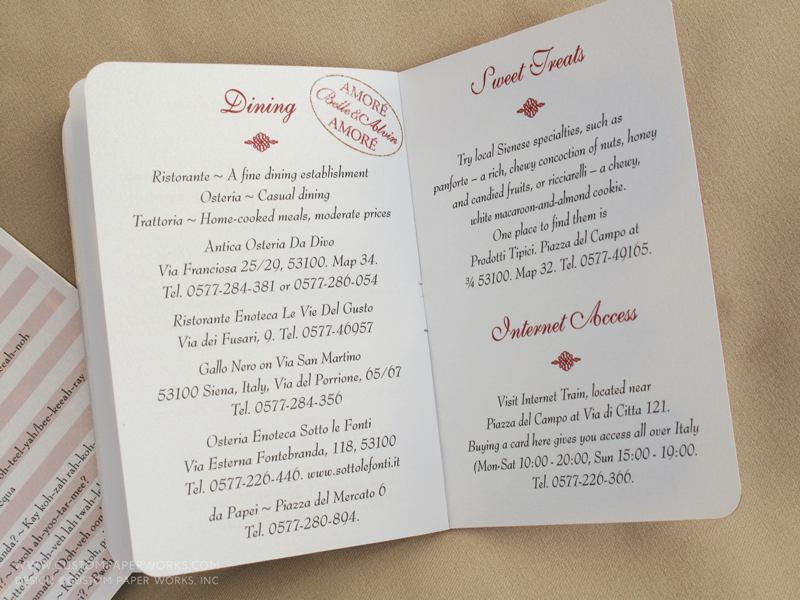 Foil-stamped covers look so SO luxurious, especially on this richly-textured red matte cover stock. 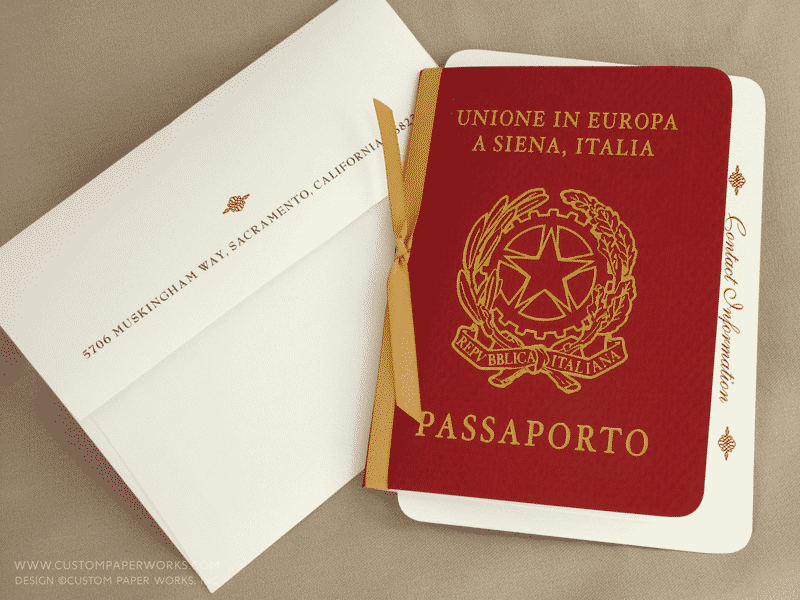 They look like a real passport cover – but BETTER! What the photos don’t show at all is the unique white shimmer paper which reflects an insane amount of gold when viewed in different lighting. 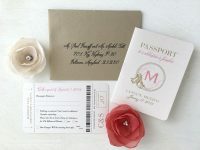 Even guests at their at-home reception were able to join the fun when the passports were used as table accents.